By default, our Libraries are sorted by year. You can filter what you want to view by using the "View Magazines by Title" bar at the top of the page. There are thousands of magazines from over 100 publishers dating back to 1895 in our collection to scan and archive. Once the literature is archived, digital downloads are available, and the original literature is made available for sale in our store. News of the Electric Vehicle Section N.E.L.A. Not to be confused with Automotive News, Popular Automotive News was published by B. W. Cooke's Motor Training Corporation, a mail order mechanics school based out of Chicago. The school was heavily advertised in Popular Mechanics and Popular Science magazines in the 1920's. The cover story of the May, 1933 issue of Automobile Digest magazine shows a promo for the new movie "Thru Traffic" produced by Warner Brothers for the Perfect Circle Company. Watch the full movie Thru Traffic from the cover story, here on AutomotiveTimelines. You can play the movie full screen. This magazine is printed entirely in German. 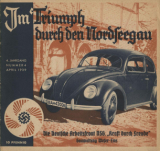 The focus is on the KDF VW for 1939, referred to by some of our literature collection as Hitler's People Car. This and many other pieces will be found in our VW Timeline. The official VW website does not cover this portion of VW history in it's heritage collection. Much of what we have is in German, but we have all the documentation, along with the Hitler promotional items for the car. How Much Is A Salesman Worth? The cover story of the September, 1950 issue of Speed Age magazine shows Clark Gable and Barbara Stanwyck in a Speed Age photo for the MGM movie, To Please A Lady. Watch the Trailer for To Please A Lady from the cover story. Did You Buy This Car? The cover of this issue shows Donald O'Conner and Debbie Reynolds, as a promotional for the new MGM movie, "I Love Melvin". O'Conner had just finished filming "Call Me Madam" and had previously co-stared with Reynolds in "Singing in the Rain". Watch the Trailer for I Love Melvin from the cover story. What's Stopping the Disc Brake? Which Automatic Transmission Should You Choose? What Happened To Engine Horsepower? Is Auto Union still the car to beat? Second Car - First Scooter? Gregoire - New Peopless Car? 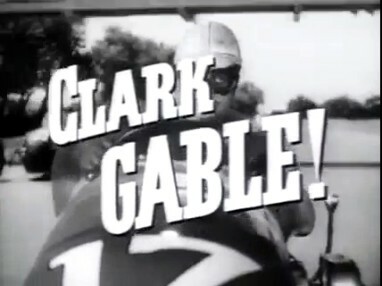 Fuel Injection - 1957's Greatest Myth? Can Detroit Cut Car Prices? 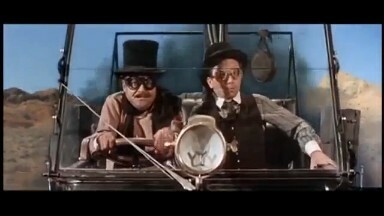 Is The Hot Rodder A Hiway Menace? Is Your Car Date Bait? Plymouth XNR - Plmouth's Answer to Corvette? Reports on all these 1961 cars. A Couple of Corvettes - The Rohm and Haas "Explorer II" and the Pininfarina "Rondine"
The Tub - Wild "T"
American: Who Designs Your Car? Is Chevy Stuck in 2nd? This issue of Rod and Custom magazine shows production of the special cars used in the Warner Brothers movie, The Great Race. 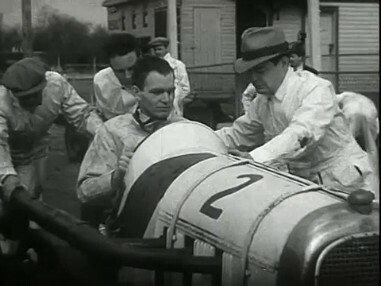 Watch the Trailer for The Great Race from the magazine story. Photos and specifications of all the 1966 cars. This edition of Chevrolet Super Chevy magazine, is the Special Camaro Issue.